Learning Techniques will he held in the Royal Dornoch Golf Club, the West Church Hall (Upstairs) and Dornoch Social Club on both Saturday and Sunday. Please Note: Each of the 'Learning Techniques' gallery below provide an indication of the number of available places. Before completing a postal application, so that available place detail is kept up-to-date, please telephone telephone (01862 811844) or use the 'Contact Us' form to reserve a place. All materials are supplied and will cost £3.00, payable to the tutor on the day. 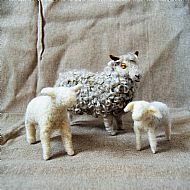 Fi Oberon is one of the UK's leading needlefelters and is much in demand for her gorgeous animal sculptures. 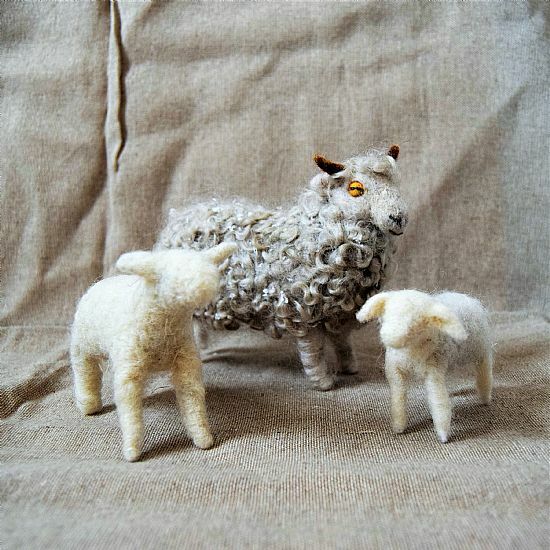 The author of 'The Natural World of Needle Felting', published by Jacqui Small, Fi is an experienced tutor teaching new skills and techniques while encouraging experimentation and self expression. This workshop aims to help beginners get started with needle felting. 1.30 p.m. to 4 p.m. Skills: Suitable for beginners and intermediate needle felters. Fi Oberon takes inspiration from both the farm where she grew up, and the countryside and seaside in the north of England where she lives. 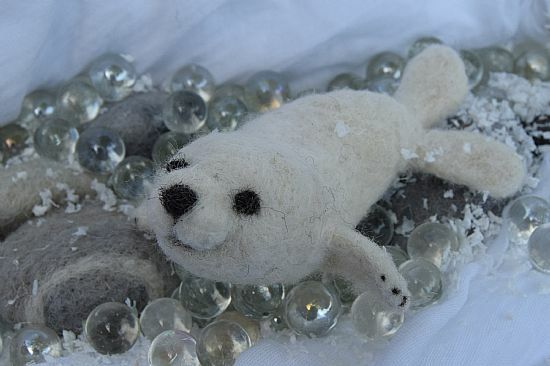 This second learning techniques workshop will build on the skills learnt from the baby seal workshop and also suit needlefelters who have a little experience. This project introduces you to the basics of sculpting with needle felt and how to contstruct body shapes from component parts with particular emphasis on using wire for legs. You will also be shown how to add small details and give your creation that all important individual character. The workshop is suitable for intermediate crocheters who are comfortable with the double crochet stitch. 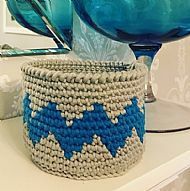 Learn how to make a chunky crochet bowl and, depending upon ability, introduce some tapestry crochet techniques to add a contrasting zig zag. Pick up some tips on yarn choices to improve stitch definition and improve your technique when working with two colours. Claire runs Cookston Crafts, an emporium of hand dye luxury yarns using both professional acid dyes and natural dyes on locally produced yarn. 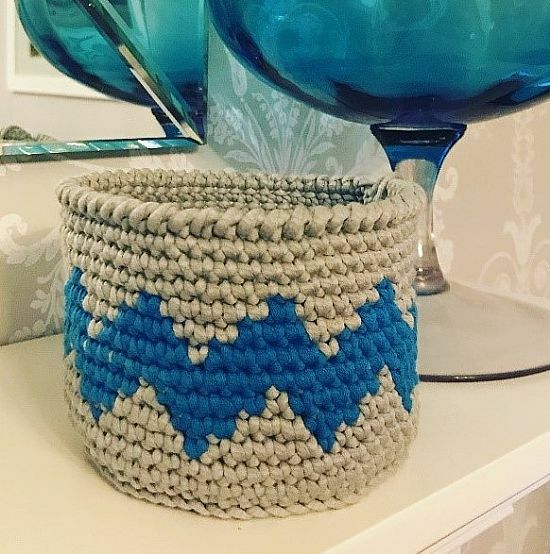 She is also a self confessed crochet addict, creating crochet kits and teaching crochet, knitting and machine sewing from her workshop in Ellon, Aberdeenshire. Felting materials will be supplied but please bring an old towel and apron. We will be using vegetable based soap-flakes and olive oil soap, so please bring rubber gloves if you are sensitive to these. 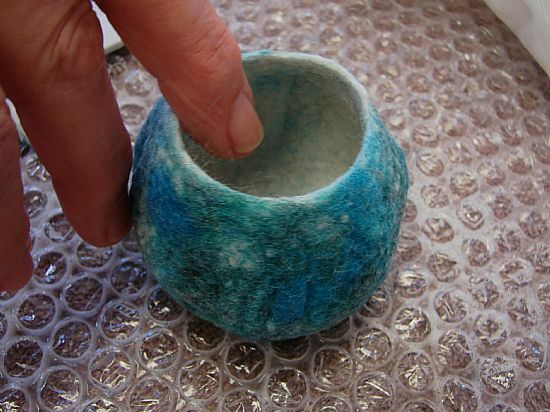 Kirsty Wallace of Fibre Alchemy has been exploring felt making for the last ten years and particularly enjoys creating three-dimensional work including wacky hats and sculptural vessels inspired by natural forms. Skills: Suitable for those who can do basic knit stitch. All yarn and materials are supplied. Janette Budge joins us from Shetland where she is a member of the Shetland Guild of Spinners, Knitters, Weavers and Dyers, a tutor for the Shetland PeerieMakkers and tutor at Shetland Wool Week. Janette designed the Clickimin Cowl, Shetland Wool Week Annual 2018. Using circular needles or DPNs Janette will teach you how to knit with two colours in the round to create a headband. Following a simple pattern, you will learn how to read Fair Isle patterns, join in new colours, carry floats, achieve an even tension and learn tips on colour choice and patterns.